Tekashi69 ratted himself out — on video, no less — or at least that’s what police think after seeing a clip of him saying he had a “30 pack” on the head of Chief Keef‘s cousin — an apparent threat that lines up with an attempted shooting in NYC. The translation, we’re told, is putting a $30k bounty on someone. 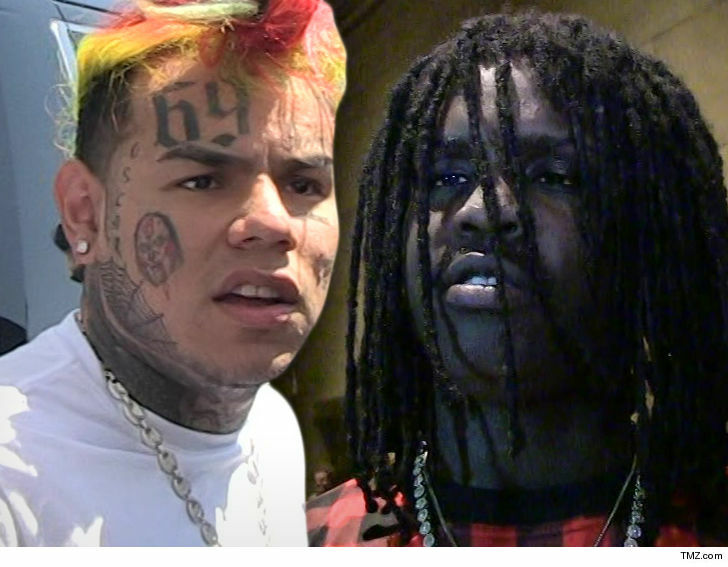 Law enforcement sources tell us … investigators working on the June 2 attempted shooting of Chief Keef are now convinced 6ix9ine ordered the hit. As we reported, someone opened fire on Keef while he was outside the W Hotel in Times Square. We’re told Tadoe was standing nearby at the time — and the “30 pack” video changes NYPD’s perspective on the shooting. Cops have 2 persons of interest in the Time Square incident, and one is a “known associate” of 6ix9ine. No charges have been filed. An NYPD spokesperson declined to comment. We reached out to 69’s attorney, Lance Lazzaro, but no word back yet.